PRESS RELEASE – Vancouver, BC (May 25, 2011): Today’s official opening of Vancouver Harbour Flight Centre (VHFC) marks the first time nearly 300,000 annual commuter and tourist travelers who travel annually from Vancouver to Victoria will have the benefits of a truly public seaplane facility. Effective today both Tofino Air and Seair Seaplanes will operate out of the facility. 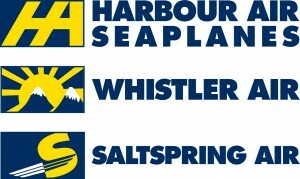 VHFC’s first two partner airlines will be offering initial scheduled service from Vancouver Harbour to four destinations: Nanaimo, Tofino, Sechelt and Gabriola Island with service expansion to additional destinations anticipated shortly including Victoria, Salt Spring Island and Pender Island. VHFC was designed and built to meet the needs of seaplane operators and the rigorous standards set by the Vancouver Convention Centre that reflect the contemporary aesthetic of Vancouver Harbour. The Vancouver Harbour Flight Centre is a partnership between the Clarke Group of Companies and The Ledcor Group of Companies.